At least nine people have died and more than 100 are injured after two passenger trains have collided in the German state of Bavaria, police say. The head-on crash happened near Bad Aibling, a spa town about 37 miles south-east of Munich. 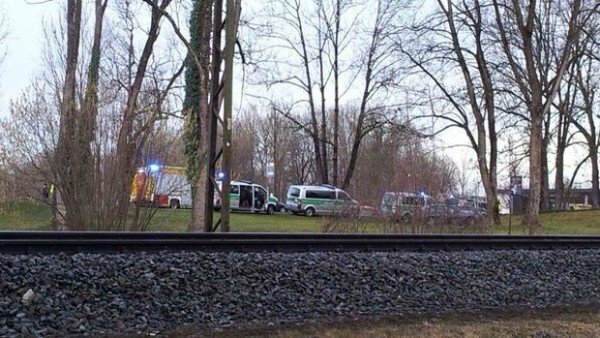 One of the trains was derailed in the crash and several carriages were overturned, German media reported. Police said rescue teams were trying to free people still trapped in the wreckage. Regional police said in a tweet that four people were dead and about 100 injured, of whom 15 were in a critical condition and 40 seriously hurt. “This is the biggest accident we have had in years in this region and we have many emergency doctors, ambulances and helicopters on the scene,” another police spokesman, Stefan Sonntag, told the Associated Press news agency. Regional train company Meridian said in a statement that “a tragic accident” had occurred on a single-track route between Rosenheim and Holzkirchen at about 07:00 local time. The scene of the crash is close to the Mangfall River in a hilly and densely wooded region. Although the trains were carrying commuters, local carnival holidays meant no schoolchildren were on board, according to reports. Roads around the scene have been closed and the railway line between Holzkirchen and Rosenheim is blocked, local media reported.